The transliteration of Turkish writing from Arabic letters to Latin letters is often cited as a triumph of early 20th-century modernism. 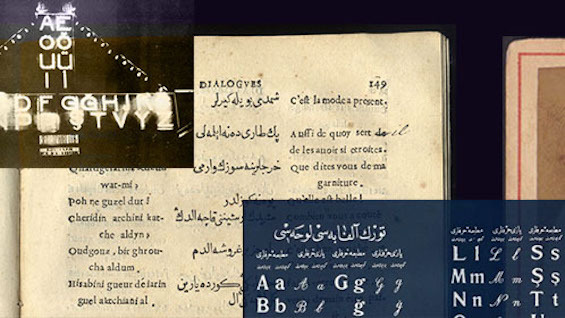 While this change was largely motivated by ideology, the presence and depth of Greek and Armenian learning cultures, a multi-script reading environment, and the slow adoption of the printing press for Ottoman Turkish writing all contributed. This talk will take a look at how print technology, the graphic/lettering landscape, and literacy all contributed to, and were not just derivative of, the cultural ideas that were carried forward. Juliette Cezzar is assistant professor of communication design at The New School’s Parsons School of Design where she was director of the BFA Communication Design and Design & Technology programs from 2011–2014. She served as president of AIGA New York’s board of directors from 2014–16.